BE IT RESOLVED by the Albemarle-Charlottesville NAACP Branch 7057, pursuant to Article VIII.2.a of the Bylaws for Units of the NAACP, that the following minimum qualifications must be met before individuals shall be eligible to run for the offices designated in this resolution. 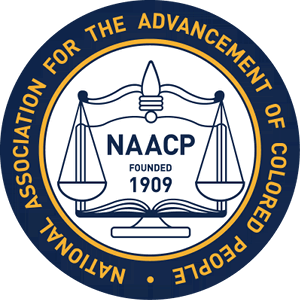 These minimum qualifications supplement the qualifications set forth in Article VI.2.b of the Bylaws for Units of the NAACP, and those qualifications remain in full force and effect. Any person standing for election to the office of President, Vice President, Secretary, and Treasurer must, by April 1 of the election year, have completed at least twelve months service in this Branch as a member of the Executive Committee or as a member of a standing committee of the Branch. The term of service of twelve months can be divided among committees, so long as the aggregated total service is twelve months or more. BE IT FURTHER RESOLVED, pursuant to Article VIII.1.b of the Bylaws for Units of the NAACP, that Albemarle-Charlottesville NAACP Branch 7057 shall, at the regular election of the Branch, elect two members at large to serve on the Executive Committee. ADOPTED by vote of the Executive Committee this 27th day of August, 2018. This entry was posted in News on August 28, 2018 by Lynn Boyd.